The Nindies Spring Showcase took place earlier today, giving fans of the Nintendo Switch a good look at what kind of indie games they can expect to see on the portable home console in the coming months. While we saw quite a few well-loved titles making the jump to the Switch, a new title called The Red Lantern was also announced. As Timberline Studio’s debut game, The Red Lantern is currently set to release exclusively on the Nintendo Switch. The game will follow a currently unnamed protagonist as she tries to take on the dangerous Alaskan Tundra while taking part in the Iditarod, a famous dog sled race that is often takes place during whiteout-causing blizzards and harsh weather conditions. 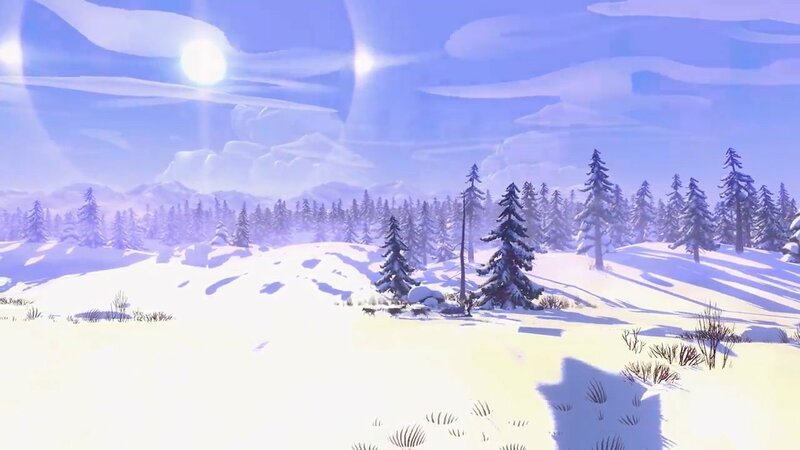 Stranded after an accident, players will need to lead their 5-dog team through the Alaskan wilderness on a harrowing journey to make it back home. The events and encounters you’ll come across are always changing, which means players will find many challenges along the way in The Red Lantern. To learn more about the game, be sure to check out the official Nintendo website. While The Red Lantern will include its own narrative, the game will also feature several rogue-lite elements, including the need to scavenge for supplies to survive. Not much is really known about the game just yet, but according to the trailer showcased during the Nindies presentation today, the developers are shooting for a release date sometime this summer. You can check out the trailer for yourself above, where you can see the beautiful art style that Timberline Studio is bringing to the table. Also, make sure you check out some of the other sweet Nintendo Switch news coming out of today’s Spring Nindies showcase. Plenty of other great games like Cuphead, Overland, and even Nuclear Throne are making the jump to Nintendo’s portable home console.